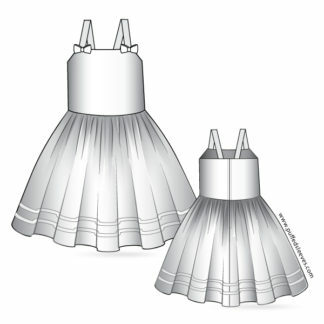 Home / Skirts / Classic full circle skirt. 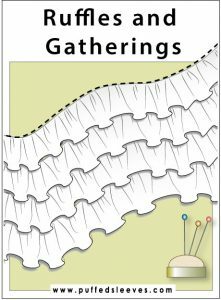 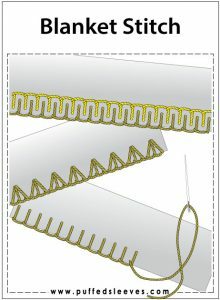 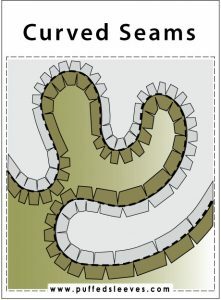 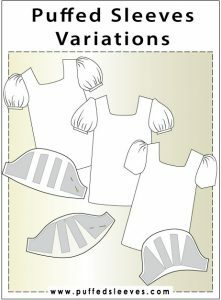 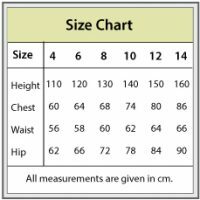 Please note that all patterns are given without seam allowances. 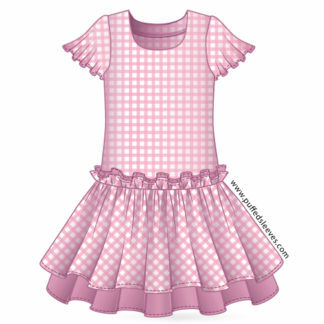 The circle skirt is loved by girls, because it twirls so prettily! 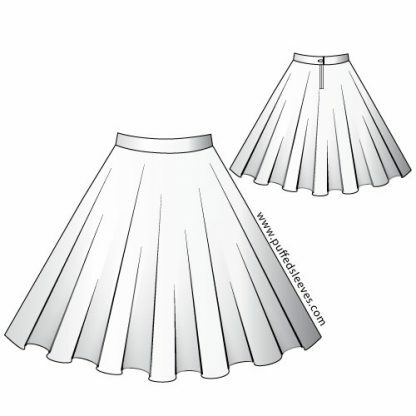 The soft folds along the hem without much bulk around the waist line is the main characteristic of this skirt. 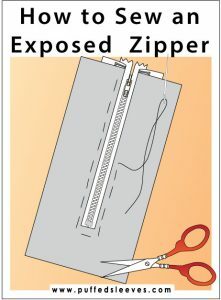 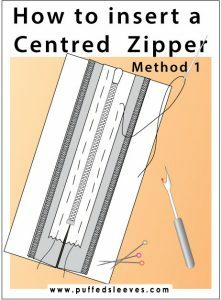 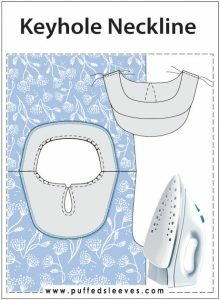 It has just a few pattern pieces, but to do it well you need to have some experience with sewing zippers and working with bias-cut fabric. 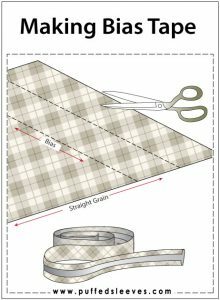 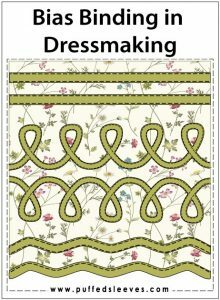 When finishing the hem you might consider to do it with bias binding of contrasting colour, it will add a very attractive detail to the overall look. 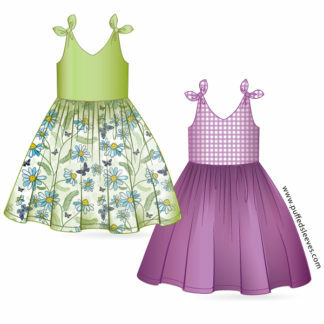 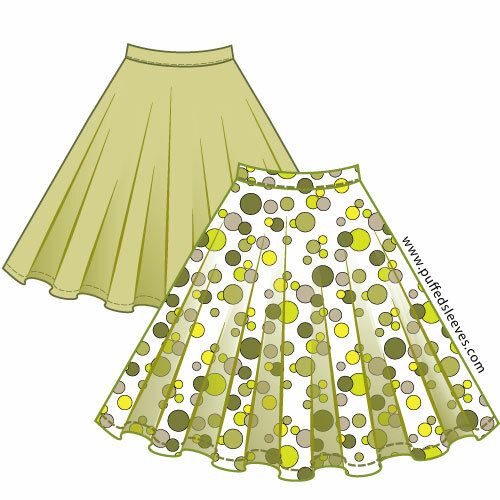 Circle skirt works best with light-to medium weight flowing fabric. 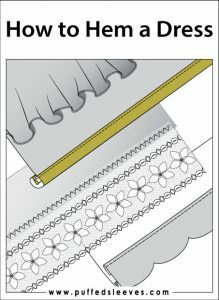 Avoid knitted fabrics and fabric with a big stretch. 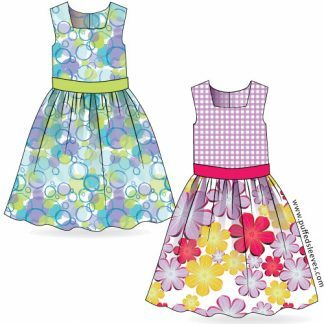 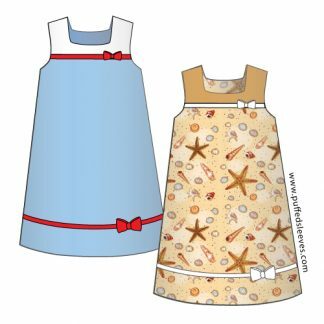 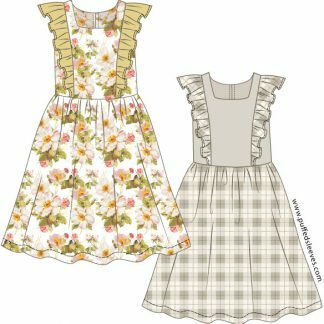 Classic circle skirt step-by-step sewing instructions.